Oakshade Raceway will kick off the 2017 racing season with the Bill Reckner Memorial on Saturday, April 29th. In addition to regular racing programs featuring UMP Late Models, UMP Sportsman, Bombers and Compact each Saturday night, there are several special events. 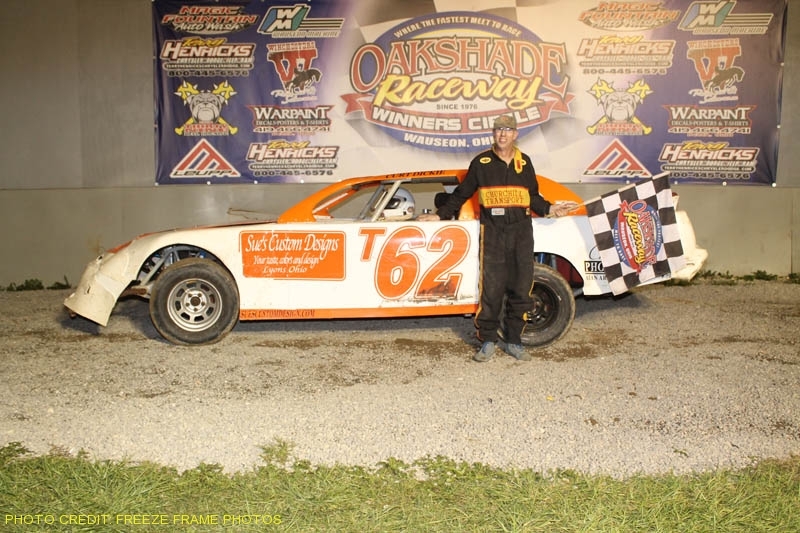 The American Late Model Series will once again be making several visits to Oakshade Raceway this summer with their biggest race being the Barney Oldfield Race on Saturday, June 17th that pays $5,300 to win. The UMP Summer Nationals will return with the final two nights of “The Hell Tour” Friday, July 14th and Saturday, July 15th with the $10,000 to win Birthday Race. A new event on the schedule this year is the American Ethanol Late Model Series event on Saturday, June 24th paying $4,000 to win.